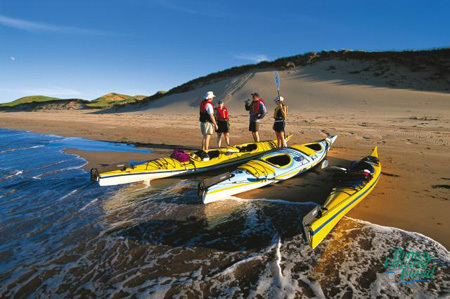 BBCanada.com | Prince Edward Island -- warm beaches, warm memories and a warm welcome! Warm beaches, warm memories and a warm welcome ! 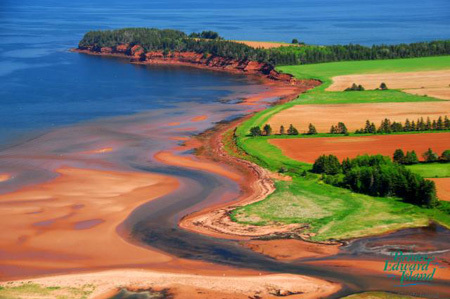 PEI has over 90 beaches, each with its own special features like white sands, red sands, clams, warm water pools in the sandbar, and the best sand for making sand castles. There are beaches in our national and provincial parks, as well as beaches off the beaten trail if you just want to get away from it all. 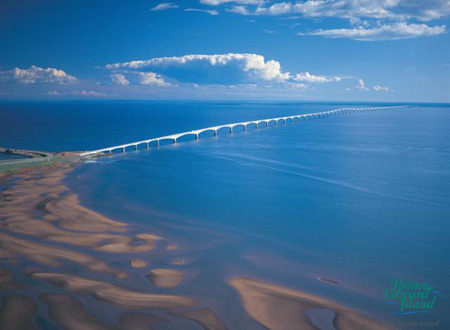 Learn more about PEI beaches at www.tourismpei.com. Any tour around the Island will feature stunning agricultural and coastal vistas, historic architecture, and heritage roads that show you the best nature has to offer. 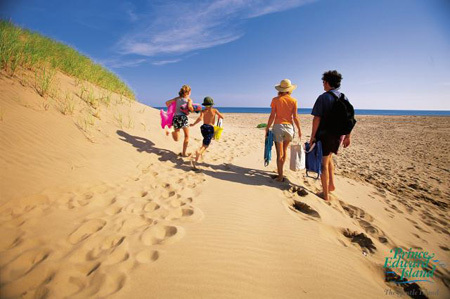 Stop off at Prince Edward Island National Park for a visit to the spectacular white sand dunes at Cavendish Beach. 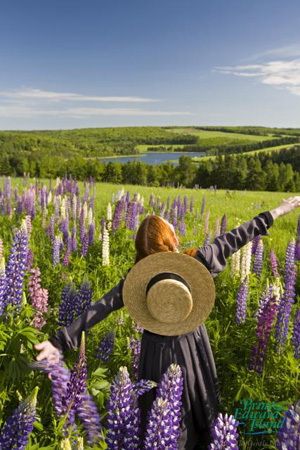 While in the National Park, you will be able to tour Green Gables Heritage Place, the farm house that inspired L.M. 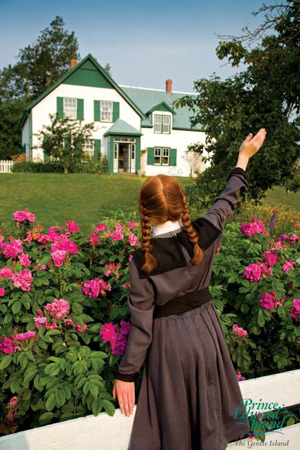 Montgomery’s famous novel: Anne of Green Gables. 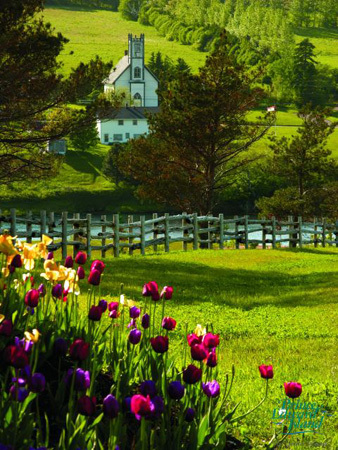 Prince Edward Island is also Canada's #1 Golf Destination. 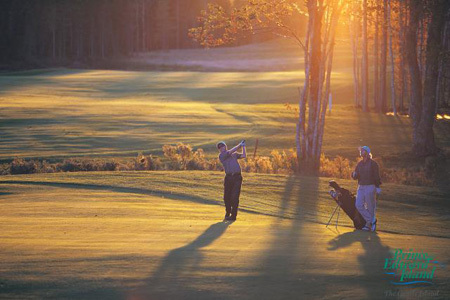 Featuring 10 of the top 100 courses in Canada, PEI treats golfers to beach views, woodland courses, challenging links-golf, and an endless variety of play for golfers of all skill levels. 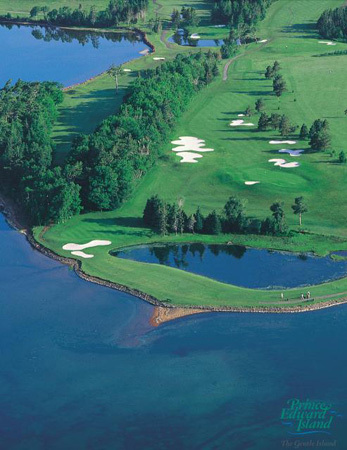 Island golf courses have hosted some of the world's best golfers including Fred Couples, Mike Weir, and Jack Nicklaus. Get your tee times at www.golfpei.ca. 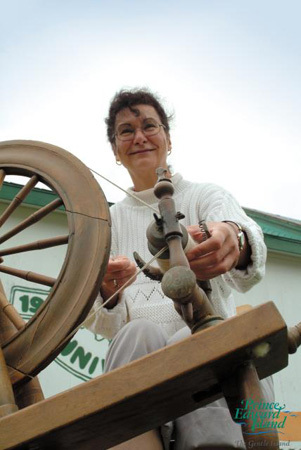 Hardly a week goes by without a local festival celebrating Prince Edward Island culture and communities. For some great music, try the PEI Jazz and Blues Festival in Charlottetown. 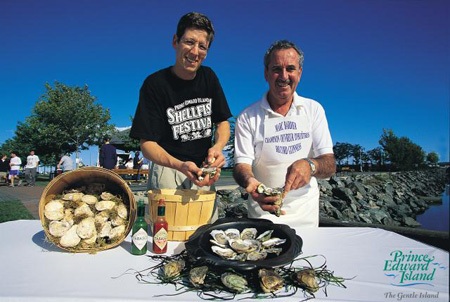 If you're more interested in food, visit the Tyne Valley Oyster Festival. For information, visit www.tourismpei.com/pei-festivals. The true gourmet must visit PEI in September because it is harvest time and the Fall Flavours culinary festival offers over 200 culinary events for your enjoyment, all month long. 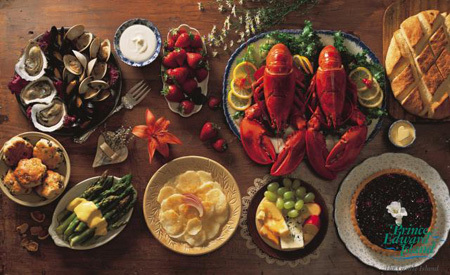 Try making Lusgnign- a Mi'Kmaq Indian bread, pick your own potato and make potato fudge, or harvest oysters, clams, mussels and lobsters. Enjoy delicious sea treats on the boat or on the beach. When you get to eat food that's fresh from the field, or the ocean, prepared by experts, you are guaranteed to never go home hungry. Start picking out your culinary adventure at www.fallflavours.ca. 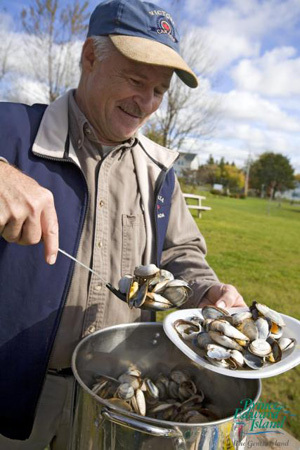 This year’s International Shellfish Festival, otherwise known as, “the Biggest Kitchen Party in Atlantic Canada,” is happening September 17 to 19. Spectators can sample and judge clam chowder, watch the world’s best oyster shuckers in an oyster shucking championship, take in live musical acts and much more. This is all happening on the scenic Charlottetown Waterfront, so take in the fresh sea air while you gobble down some fresh seafood. For more information, visit www.peishellfish.com. L’Exposition agricole et le Festival acadien de la region Evangeline offers a glimpse of rural Acadian life on the western end of PEI. The festival features livestock shows, crafts, equestrian events, Acadian entertainment and music, as well as lobster suppers and a parade. This is the festival’s 108 th year, and it runs September 2-5th. More information is available at www.expositionfestival.com . 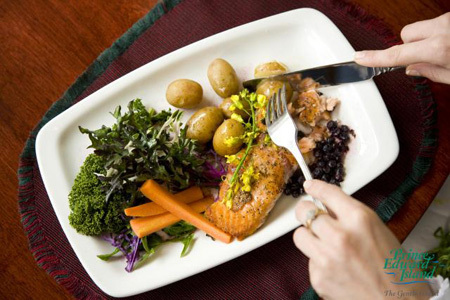 Prince Edward Island boasts a rich culinary tradition, and you can experience that tradition starting with the Culinary Institute of Canada. The Culinary Institute has been training aspiring chefs since 1983 and is regarded by many as the premiere culinary school in Canada. Now you can take part in the fun. Trained PEI Chefs are offering full and half day Culinary Boot Camps, designed for the aspiring chefs and home gourmets. You get to learn tricks of the trade, wear real chef’s whites, work alongside world renowned chefs in a state of the art kitchen, and go home with new culinary skills and tips. Boot Camps offered include Seafood 101, Chocolate and Wine, and Thrills on the Grill. There’s even a boot camp designed just for kids! More information is available at www.culinarybootcamps.com. Maybe you’d like to enjoy some drink with your food? Stop off at our local wineries and distilleries to see how world class wine and spirits are made, and take some home with you to enjoy. The Myriad View Artisan Distillery is unique to both the Island and the spirits industry. Tour the distillery and witness the production of 'Strait Shine' collected from the still. Check out the history of PEI Moonshine at www.straitshine.com. Is wine more your style? Follow the Rossignol Estate Winery Tour and see the vats, fruit presses and oak barrels up close, sample some wine and receive food/wine pairing recommendations. Visit www.rossignolwinery.com. For the adventurous gourmet, get out and catch your own dinner at the Highline All you Can Eat Lobster Adventure with Tranquility Cove Adventures. Starting well before dawn, and decked out in rubber boots and rubber gloves, you are in for a real hands on adventure. You will work as a cork, helping the captain hook the buoys, pull the traps, and re-bait the traps to catch some more lobster. Back on land, you’ll learn how to weigh the catch, ice the bait and refuel the boat. Then it’s time to eat! All the lobster you can eat! Book your tours at www.tranquilitycoveadventures.com/lobster.html. To stay with a BBCanada.com member please visit our BBCanada.com Association page.